Drier climatic conditions, water shortages, higher environmental standards and an increase in public concern and expectations about the environment in the few last years has inspired the mining industry to explore new more efficient and cost effective methods of dust control. And these trends appear unlikely to stop. Global air quality consulting company ATMOS Australia has developed ATMOS-5D, a world's first Integrated '5D' global and site specific dust impact forecasting, control and management system to keep the industry one step ahead of the game. The technology works by providing daily air quality forecasts generated by ATMOS-5D, which "play a central role in helping mining companies to accurately assess complex air quality risks associated with their operations, adjust their site specific operational plans to avoid undesirable air quality impacts at local and regional scales and increase the efficiency of risk mitigation measures," according to ATMOS president Orestis Valianatos. 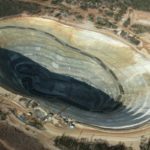 He explained that due to the inherent complexity of mining operations, "it is difficult to respond in real-time, and at short notice, to emergency dust impacts when they happen. "However by using ATMOS-5D mine operators can now plan, in a standardised way, to minimise the risk of exposure to adverse dust impacts before they happen, thus moving from a reactive approach to a proactive, and more effective multi-stakeholder engagement approach to dust control and management." According to ATMOS the dust forecasting program is a multi-component system which is comprised of a combination of meteorological and air quality forecasting concepts as well as highly specialised computer software and hardware that provide the fail safe infrastructure that supports the forecasting activities of the company's world first Centre for Global and Site Specific Dust Impact Forecasting, Management and Control for the mining industry. Valianatos went on to say that "the Centre for Dust Management has the global operational capability to allow mining companies world-wide to undertake, on a daily basis, a flexible, functional and custom configurable forward value evaluation of their site specific dust management strategies based on an analytical approach that balances both environmental management priorities and short-term/long-term operating goals". It actually provides the dust movement forecasts through an overarching online web-based secure interface and database, which allows for an ongoing record of compliance, and enables the authorised decision makers on site to visualise key forecasting parameters presented in a standardised guidance format using computers, laptops, or even smart phones and tablets. Earlier this year ATMOS Australia launched DustAlert+, which is an artificially intelligent dust impact early warning system – which is "a major breakthrough that transforms the way mining companies deal with environmental dust control and management in mining", Valianatos added. DustAlert+ is the AI enhanced version of ATMOS Global's previous early warning system DustAlert, which was a support system for ATMOS-5D. DustAlert+ works in tandem, interconnected with ATMOS-5D, to issue customised and detailed early warnings (up to a few days in advance) for dust emissions that have the potential to affect sensitive receptors. It is "a new generation of self-aware, self-learning and self-adapting, ever present sentinel that offers continuous dust protection for the full spectrum of mineral exploration, extraction and processing operations," Valianatos said. DustAlert+ can also be used to control and manage fugitive dust emissions for operations specific to the manufacturing and energy industries. · reduce the usage of resource-intensive conventional dust control methods (water, energy, etc.) and reliance on human intervention. 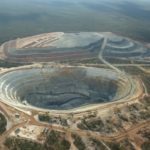 Western Areas and ATMOS Australia were jointly nominated by the WA Department of Mines and Petroleum for the 2011 Golden Gecko Awards for Environmental Excellence for the implementation of ATMOS-5D at Western's Spotted Quoll (Tim King Open Pit) project. The technology was used to assist Western Areas in avoiding or minimising adverse dust impacts at an environmentally sensitive receptor area (Declared Rare Flora – DRF), located close to the open pit. 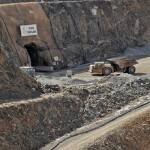 Part of the Forrestania Nickel Project it is located about 400km east of Perth, in Western Australia. ATMOS-5D dust forecasts and DustAlert+ early warning messages are now being used daily by the miner to automatically anticipate potential dust impacts and movements well before they happen and intervene to control these dust impacts by choosing the most suitable approach to dust mitigation for three of Western Areas' mine sites – Spotted Quoll, Cosmic Boy and Flying Fox. ATMOS-5D and Dust­Alert+ aided Western Areas in reducing the overall dust deposition recorded at the location of the environmentally sensitive receptor (DRF) by 24.2 per cent from 2010 to 2011; this is despite the fact that work actually grew, with ore mined increasing dramtically for the Spotted Quoll site in 2011 compared to 2010.